This weekend brings events to mark Veterans Day and the World War I Armistice Centennial. Bells of Peace will chime around the U.S. at 11 a.m. Sunday, Nov. 11, to honor the centennial of Armistice Day, the anniversary of the signing of the treaty that ended World War I on Nov. 11, 1918. Locally, the historic Great Seattle Fire bell of 1890 will ring as part of the Armistice Day Centennial Commemoration Weekend at the Museum of History & Industry (MOHAI). Bells will also toll during Veterans Day weekend events at the Museum of Flight. And anyone can take part by downloading the Bells of Peace App (worldwar1centennial.org/567-ace/5056-yourace-participation-app.html) and chime 21 times on your cellphone at 11 a.m. Sunday local time in a remembrance of the end of WWI. Armistice Day was renamed Veterans Day in 1954 to honor all American military veterans and their service and is always officially observed on Nov. 11. The federal holiday this year is Monday, Nov. 12. The celebration at MOHAI includes events and free admission for active and veteran military. The Commemoration Weekend is in conjunction with the special exhibit “WW1 America,” on display through Feb. 10, 2019, with artifacts, images and multimedia presentations to illustrate the effects of the turbulent times of the WWI era, 1914 to 1919, on life in America. 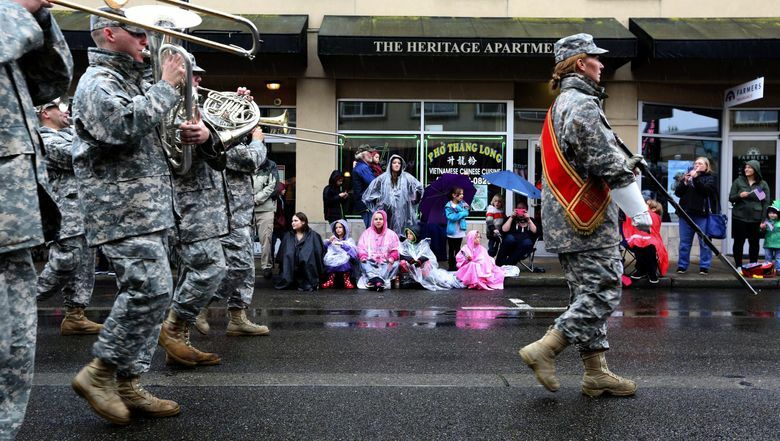 Two parades marking Veterans Day are on Saturday, Nov. 10. The 53rd annual Veterans Day Parade and Observance in Auburn features 200 marching bands, Junior ROTC units, honor guards, military and veterans units, floats, drill teams, classic and antique cars and military units. The day begins with a Remembrance Ceremony and Lighting of the Flame and includes an outdoor exhibit with military equipment, vehicles, displays, information and food vendors. Mill Creek’s “100 Years of Honor” celebration marks the centennial of the end of World War I with a commemorative ceremony, display of military memorabilia and vehicles, and a jubilant parade with military and high-school bands, color guards, vintage military vehicles, horses, community groups and veterans. Both parades draw large crowds each year, so be sure to allow plenty of time for traffic, parking and finding your viewing spot. For a full list of events, see our Community Calendar here. Read more about veterans here.